View cart “April Showers” has been added to your cart. 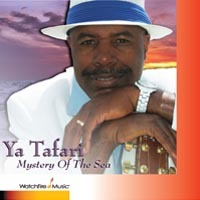 Ya Tafari is an author, composer, singer- songwriter, and poet who plays piano, guitar, and Latin percussion. Born in Cincinnati, Ohio, he lived in the Bahama Islands and was “adopted” by a family there, and now claims the Bahamas as his second home. Ya Tafari is fond of and influenced by other artists from around the world: Brazil – Joao Gilberto, Cuba – Tito Puente, Jamaica – Bob Marley and Harry Belafonte, the Bahamas – Ron Butler, Canada – Joni Mitchell, the United States – John Coltrane, Miles Davis, and Pharaoh Sanders. His greatest love and influence is the Holy Bible , and the other Lost Books of God’s word. Yaqob Tafari Makuannen, a.k.a. 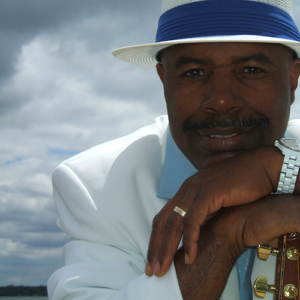 YaTafari, an award-winning composer, author, and performer of Jazz, Latin, Caribbean, and Spiritual music, grew up in Cincinnati, Ohio, and settled in Detroit, Michigan. In Detroit, he received the Spirit of Detroit Award, and earned first place in the Renaissance Center Talent Contest two years in a row. He was presented awards by Chuck Gaidica, a local celebrity. As an adult, he traveled to the Bahamas and adopted it as his second home. There he performed for the Governor General of the Bahamas and attended the Bahamian Parliament. His first recording contract was with G.B.I. Records and Television in Freeport, Bahamas, with Frank Penn, C.E.O. Thus, he is a Bahamian recording artist. 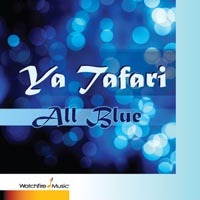 Ya Tafari has performed throughout Metropolitan Detroit and internationally. As music consultant for the African Heritage Center of the Detroit Public Schools, he hassperformed in DPS schools to audiences from pre-school to high School, introducing students and staff to different rhythms, musical instruments, and genres from the African Diaspora. His greatest love is reading God’s word in the Holy Bible and Lost Books. 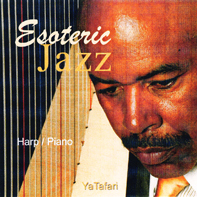 His recent projects include a book, Man Woman & Spirit, and a recording of the Psalms of David to the original music of Ya Tafari.